Recent Sacred Hearts Academy graduates, Julia Oehlers and Catherine Palmer, have been selected as Hawaii delegates to the prestigious National Youth Science Camp (NYSCamp) in West Virginia, June 27 – July 21. The residential science education program selects two high-achieving graduates from each state in the United States and from eight additional countries to participate in the all-expenses paid experience. The NYSCamp is a broad science, technology, engineering and mathematics (STEM) experience that incorporates both creative and performing arts as well as an outdoor adventure series, including rock climbing, mountain biking, spelunking, whitewater kayaking, and overnight backpacking. Leading scientists from around the United States will lead seminars at the NYSCamp and will offer attendees directed study experiences. The NYSCamp delegation will also travel to Washington, D.C. to tour the museums on the National Mall, attend a Science Policy panel discussion at the American Association for Advancement of Science (AAAS), and a luncheon in their honor with members of the United States Senate. In the fall, Julia, a National Merit Scholar, will attend the University of Oklahoma majoring in biology and Catherine will major in pre-medicine at Creighton University. 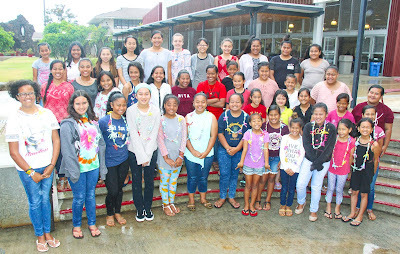 Sacred Hearts Academy welcomed its 5th cohort of 10 new 4th grade students from Palolo Elementary School to join its Ka lei'ike program (to embrace knowledge). A total of 50 girls from Palolo Elementary and Jarrett Middle School will attend a 5-week summer program consisting of reading, math, leadership training and a host of electives such as robotics, coding, cooking, minecraft, Zumba and sports. 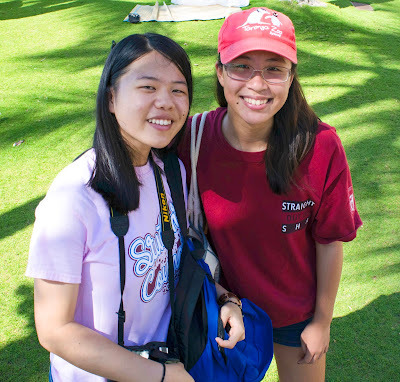 The Ka lei'ike program is the Academy's way of reaching out to its neighbors and being a part of the larger community through the Private Schools with Public Purpose movement.